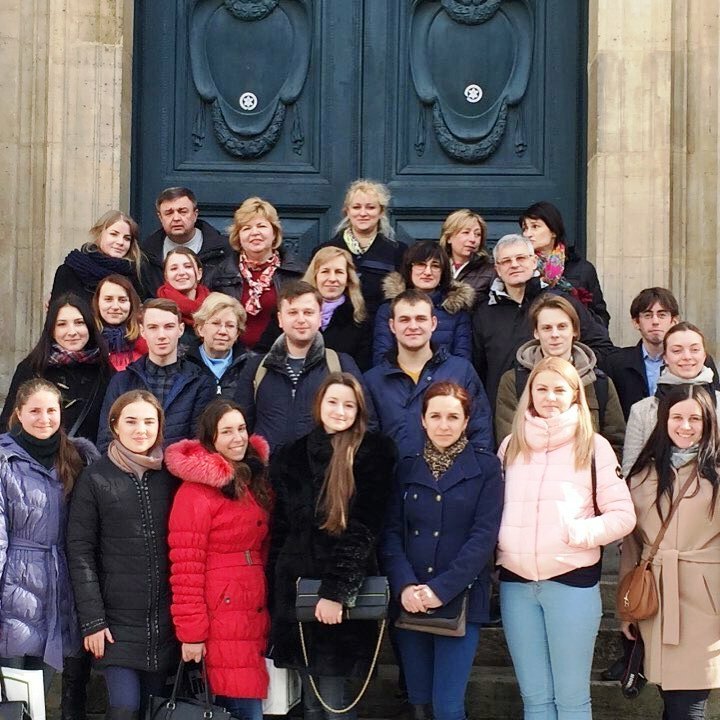 In February, a team of students and teachers of Donetsk National Technical University participated in an educational project ‘Cosmopolitan Project Foundation’, which was held on the initiative of Council of the regional university rectors in Ile-de-France, International Fund ‘Renaissance’, the Embassy of Ukraine in France and the Embassy of France in Ukraine. The project was preceded a qualifying round, which was held at the end of 2015, when 15 project participants were finally selected on grounds of their cover letters and CVs, among whom there were 5 students of our university. Altogether, 13 students of various majors participated in the qualifying round. By virtue of selection, the project participants were found. They were Alina Bachurina, Valeriya Bozhko, Inna Ermolenko, Oleksandr Lashok and Valentin Hast, who supported their ardent desire by a good command of English and the major, which was recorded by the selection committee. 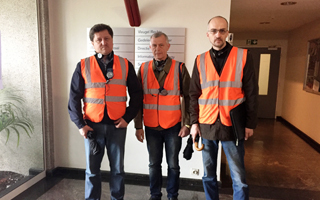 By the way, the delegation of Donetsk National Technical University consisted of more members than any other team. The delegation also included the project leaders. 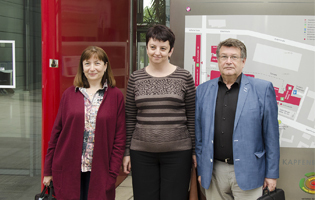 They were Vice-Rector for International Relations, Irina Borysivna Shvets, and Head of Language Training Department, Marina Mikolaevna Kabanets. 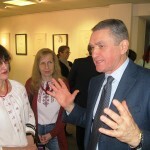 The extensive program of the project began in Kyiv,where the team of students set off for Paris. The tour was interesting and rich in impressions. It should be noted that some workshops began working immediately after the delegation arrived in Paris and some teachers headed to attend the meetings straight from the airport. Within one week, the students and teachers visited many universities, which had been selected by the Fund representatives in accordance with the student majors. 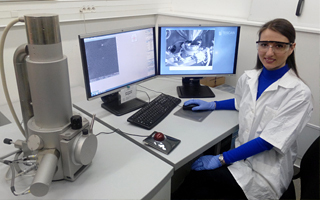 The students had an opportunity to attend the lectures, seminars and workshops in the universities of France, visit the research laboratories and meet students from different countries who are studying in France. 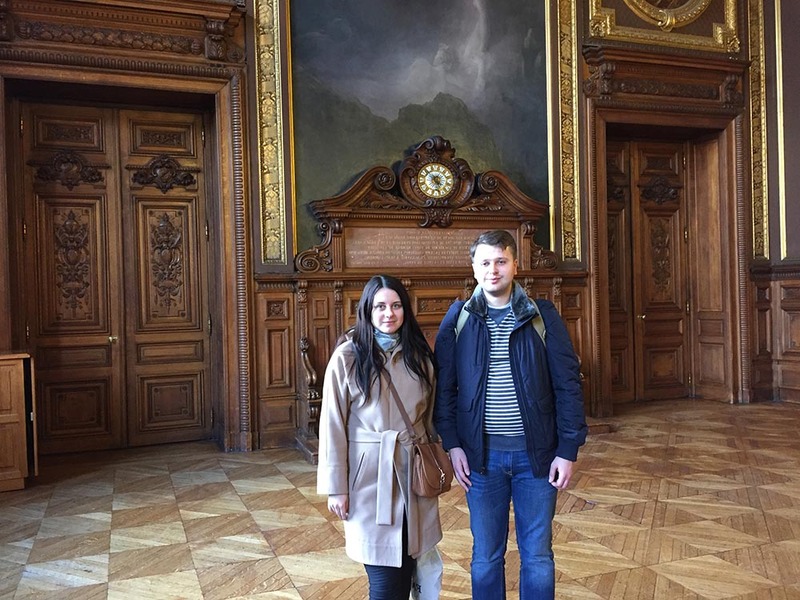 A trip to the historic Sorbonne University, which is a daydream of every student, was especially memorable. 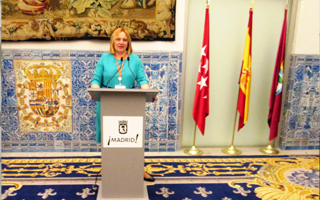 That included a visit to the halls where the most prominent scientists of Europe and the world gave their lectures. 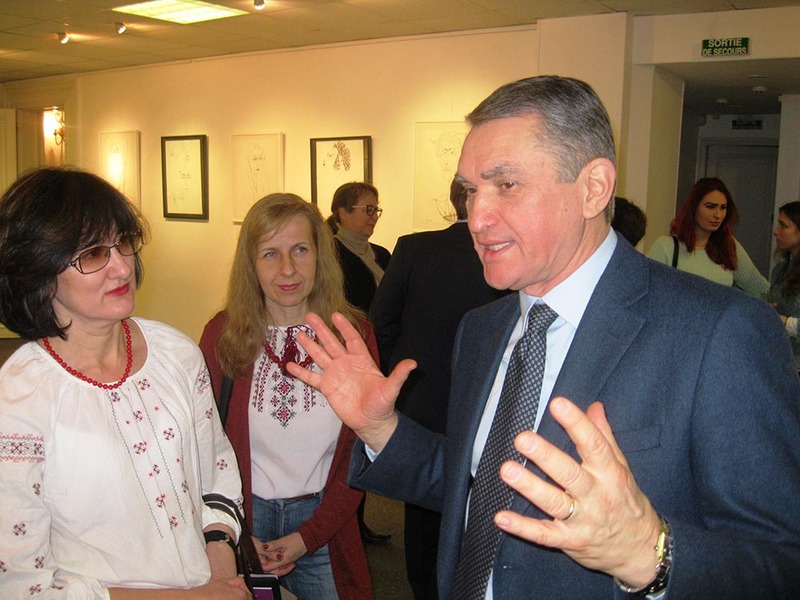 The delegation of the students and teachers of the displaced universities was invited to attend a meeting with the Ambassador of Ukraine in France, Oleh Shamshur, and other members of the Embassy in the Cultural and Information Center of the Embassy, where in a friendly atmosphere they discussed urgent issues and possibilities of academic mobility of students and teachers. 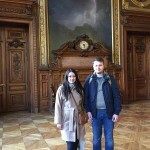 The meeting with representatives of the Ministry of Education of France and the presentation of the French educational system in the Ministry of Foreign Affairs helped the participats to familiarize themselves with learning opportunities in the country and educational priorities of the French educational system. 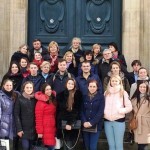 The program was very intense, but in their free time, students and teachers became acquainted with the most remarkable pieces of architecture, culture and history of France in Paris and Strasbourg. 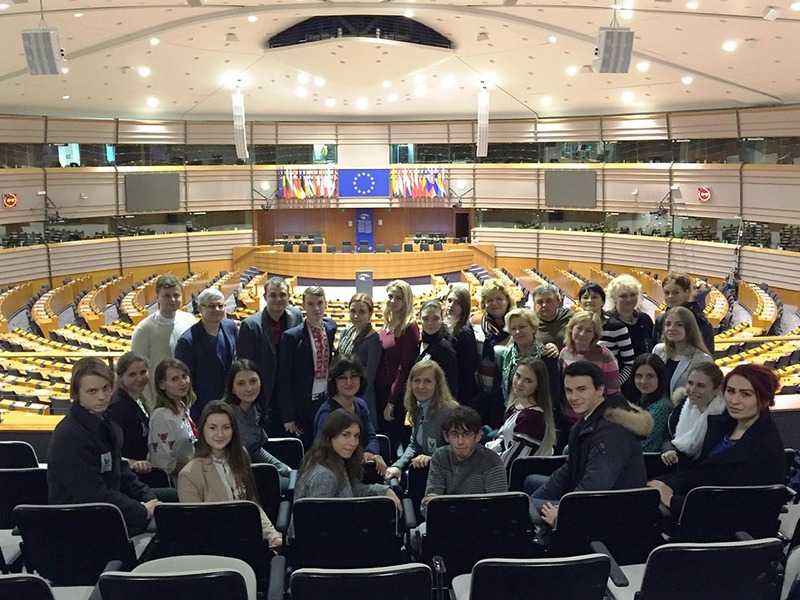 The most memorable impressions will the project participants had by visiting the EU institutions in Strasbourg and Brussels, namely the European Parliament, the European Commission, the European Council, the European Court of Human Rights. 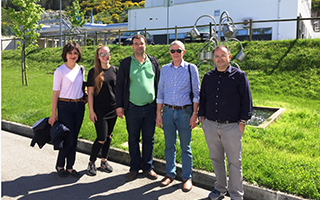 The participation in the project enabled the students to get acquainted with the European education system and the prospect of academic mobility for the next academic year. 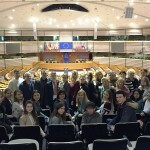 The teachers got an opportunity to learn more about the educational system of the EU. 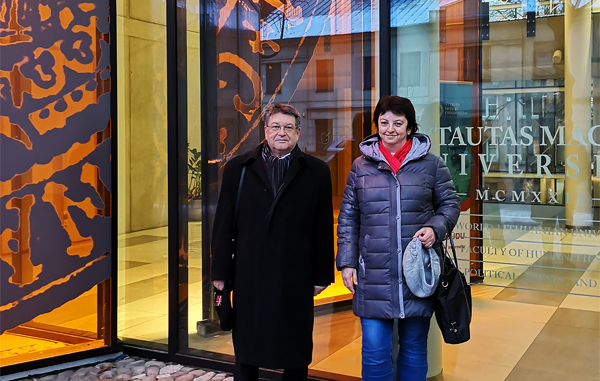 That will help to implement the approaches to the European standards in education, which is extremely important during the process of reforms in higher education in Ukraine. 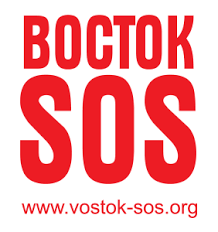 One of the main results of the project is making agreements with French universities in order to set up a double degree programme for Masters of French universities and displaced eastern Ukrainian universities that is going to be launched in September next academic year and the programs of academic mobility of teachers and students of Donetsk National Technical University and partner universities in France.